In the height of summer it is very common to receive many calls that turnout to be for wasps rather than our beloved bees. Here are a few tips to help you identify a wasp from a bee and also what you can do to solve this very common problem. Identification is the definitive way to understand what insect you are dealing with, take a look at the info section on the website to help, or search on google to aid the indentification. The best tip I can give you is to use your smart phone (or camera) to take a picture and study what you have. It's my observation that wasps tend to fly faster and in a erratic movement which can make it hard to identify. Did you get stung? Wasps are aggressive and will attack, but while this is not pleasant the giveaway is that there is no sting and sack left behind. The bee sting has a barb which pulls the sack with the venom in it out and it remains lodged in the skin and will need to be removed. Wasps dont have this feature (a barb), they can sting multiple times and fly away. So if you have a sting and no sign of the venom sack it is likely to be a wasp. The most common wasp is the German Paper wasp (Pictured to the top right) dont be fooled if you see pollen on the legs, wasp need to eat also. The real give away is the time of year, Bees go though swarm season in Spring and early Summer, and then its over, we do get calls towards the end of swarm season for nests. The bees that swarmed and found a new home inside a chimmney or house are another sign for us that the swarm season is coming to a close. Upon confirmation of it being a wasp I would suggest calling a pest control person to deal with the issue, if that is not an option and you want to take on the risk, visit your local hardware store as they do have a few options in the gardening section. At you own risk and in the evening (as wasps like bees sleep at night) pour ammonia down the hole, or petrol, (DO NOT LIGHT IT) I have heard lots of other ways to deal with the nest but I prefer not to suggest them here as they can present other issues. 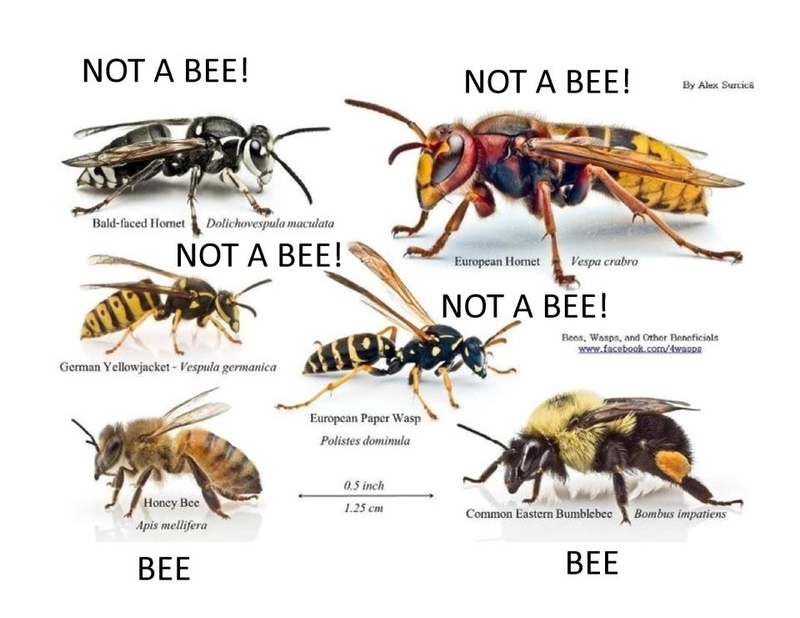 Below is a good image from Google to help you identify the differences between Bees and Wasps.